If you suffer from a chronic medical condition, medicinal cannabis can provide you with relief. Alternative Wellness Montana helps patients obtain medical cards for medicinal cannabis in Billings, Montana and surrounding areas. We also assist with card renewals. Improve your quality of life today. Call Alternative Wellness Montana for assistance with the card application or renewal process. We promise to do all we can to help you lead a more productive and comfortable life. Alternative Wellness Montana has three locations, with offices in Billings, Helena, Great Falls, Glendive, Missoula, Kalispell and Bozeman, MT respectively. The staff at each clinic is dedicated to serving our clients needs. We make the confusing card application process simple and efficient, and we can make the renewal process more straightforward. For your assistance, our specialists will: Obtain your medical records from your primary physicianProvide you with the forms and documents you need for the applicationConnect you with medicinal cannabis providers in the areaWe employ a well-organized system to speed up the application process. Your application will be forwarded to the Montana Department of Public Health & Human Services DPHHS as quickly as possible. 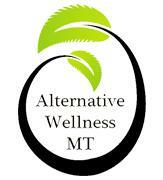 Contact Alternative Wellness Montana today to discuss your needs with our team. Medicinal cannabis can help those with cancer, AIDS, HIV, glaucoma and other chronic or life-threatening illnesses. Alternative Wellness Montana can assist you with the application process. With over 20 years of combined experience, our staff is well-equipped to provide you with outstanding customer service in a comfortable and caring environment.